Home ⎢Is Diving Really Safe? Admittedly a rather contentious title, but it's supposed to be. Debates over whether diving, or even certain types of diving, are safe sometimes get emotive and heated, depending on the arguments being made. These include: Is closed circuit rebreather diving safe? How much safer is recreational rebreather diving than open circuit? Is cave diving safe? Is recreational diving to 18m on open circuit safe? Penetration dives incur additional risks but can be completed safely if risks are known and understood. The simple answer is—it depends! This article will present a series of arguments so the reader (and diver) can make that decision, as ultimately, it is the diver who is choosing to get in the water and expose themselves to the risks therein. The article will cover some essential definitions and then outline where responsibility could or should lie when it comes to undertaking a “safe” or “unsafe” activity. Note: the article will use figures from the United Kingdom, as these were the easiest for the author to source. What is the definition of “safe” or “safety”? “Safety” has been defined as “the condition of being protected from or unlikely to cause danger, risk, or injury” [Oxford Dictionary]. “Safety” means “the absence of unwanted outcomes such as incidents or accidents”, hence a reference to a condition of being "safe" [Safety I, Safety II: Hollnagel] or freedom from harm or danger [Websters Online]. These sound like relatively simple concepts, so why is diving safety a problem to define? The problem arises because of the terms “risk” and “danger”, and the lack of a clear definition of what an acceptable level of risk or danger is. “Danger being defined as the possibility that someone will be harmed or killed” [Cambridge Online]. Being underwater is an inherently unsafe environment because without technical or mechanical assistance, the majority of people would drown if they could not get to the surface within a minute or two. In environments such as aviation, nuclear or medicine, the acceptable level of risk can be relatively well defined. The values are normally determined at a much higher level than the individual organizations involved, either through legislation and standards that need to be compiled with in order for devices/systems to be certified as safe for use. The assessment of whether an organization or system is safe is done by looking at the legislative or “standard” rate defined e.g. 1 x 10-7 per flying hour for a catastrophic failure and comparing it against the live rate of the organization or system. In aviation, determining such technical failure rates is relatively easy because of the health and usage monitoring systems in place, plus the logging of flight hours for each aircraft. Whilst the target should be zero, it is accepted that this is not feasible because it would be impossible to predict every possible failure mode and to mitigate it. Furthermore, the inclusion of fallible humans into the control mechanisms to prevent the incident from occurring means that some things slip through the gaps. Due to this ability to define rates and the ability to model and cost mitigations, there is a term called As Low As Reasonably Practicable (ALARP), in which the cost of mitigating risk is balanced against the impact of the risk materializing. According to the U.K. Health and Safety Executive or HSE, ALARP is defined as “those standards for controlling risk that HSE has judged and recognised as satisfying the law, when applied to a particular relevant case, in an appropriate manner” [http://www.hse.gov.uk/risk/theory/alarpglance.htm]. Furthermore, to be ALARP, there needs to be a disproportionate cost of putting that control or mitigation in place compared to the cost of the failure; disproportionate is hard to define and more information is here (http://www.hse.gov.uk/risk/theory/alarpcba.htm) but has been suggested to be between 2 and 10 times the costs involved. So, over the life of a program, if there was expected to be one person killed, and the cost of human life being in the order of £300k per additional year of life to £6.0M per life [U.S. figures http://en.wikipedia.org/wiki/Value_of_life#Estimates_of_the_value_of_life], mitigations would need to cost more than £600K to £60M to implement (for the human life costs alone). Now, consider sport diving, defined in this context as recreational or technical diving (Open Circuit, Closed Circuit or Semi-Closed Circuit) which is not military or commercial (e.g. civilian, offshore, air, surface-supplied, saturation, bell), but includes instructional and training dives. Fundamentally, there is no single overarching organization—which effectively manages at a global-level—sport diver training, the standards which are delivered, or the acceptable injury or fatality rates during these activities. Furthermore, much of sport diving takes place outside of any directly managed or supervised structure. Therefore, there is no organization responsible for this sector of diving. What is the definition of “practicable” within ALARP if you don’t know what the rate should be? What should be done to get it down to that (undefined) rate if you don’t know the most prevalent issues? How much should be invested to make things “safe” if “disproportionate” is also not defined? Risk is defined by the UK HSE as “the likelihood that a hazard will actually cause its adverse effects, together with a measure of the effect”. The most basic and obvious “adverse effect” would be a fatality. Although this is the easiest to define, it is fortunately also one of the least likely to occur. As a result, the numbers are small; In the United Kingdom between 1997 and 2014, diver fatalities has been between 10 and 24 per year. Diver Alert Network (DAN) has reported the annual case intake (mean±standard deviation) for the 20-year period from 1989 to 2008 was 89±12, with a range of 67 to 114 cases. Other adverse events could include decompression illness (DCI), uncontrolled buoyant ascent, entrapment/entanglement, out of gas, oxygen toxicity or hypercapnia. To understand the term “likelihood”, we need to know the background rates: the divers per year, dives per year, hours underwater per year. Unfortunately, we don’t really know the number of active divers in the United Kingdom. However, fatality per diver per year is not too useful either, as we need to understand “exposure” as that influences the likelihood of the risk materializing e.g. a 10-minute 12m dive has less exposure than a 100m 5-hour closed circuit rebreather (CCR) dive in 3°C water. So exposure could be dives per year, or hours underwater, but environmental factors influence likelihood, too. Consequently, we don’t really have an effective or accepted rate. Graphs 1 and 2 show this in more detail, covering fatality and DCI rates respectively. The annual fatality rate per year per 100,000 dives between 1998 and 2014 is shown with 25 percent error bars based on a mean of 32 dives per year (British Sub‑Aqua Club, or BSAC, calculated 32 dives per year from an unpublished 2007 study). A U.K. diving population of 70,775 to 67,559 was extrapolated using BSAC membership and a sliding scale of 66 percent to 43 percent based on figures from Paras 1997 report and BSAC’s DAN Fatalities Conference report from 2010. The DCI rates are based on BSAC figures for each year (2000–2014) multiplied by a factor of 3.5. This 3.5x factor is based on DCI figures from BSAC in 2010 and divers treated by British hyperbaric chambers in 2010. These figures are comparable to Diving Diseases Research Centre (DDRC) figures [St Leger Dowse, M., Bryson, P., Gunby, A., & Fife, W. Comparative data from 2,250 male and female sports divers: Diving patterns and decompression sickness. Aviation, Space, and Environmental Medicine, 73(8), 743-9] from 2002 which gave a DCI risk of 0.293 (female) and 0.119 (male) per 1,000 dives. Surprisingly, when looking at using the population size from the BSAC reports, this equates to a mean DCI rate of 1:191.3 per diver per year (SD 46.5, range 153.5 to 338.6). Dr Andrew Fock's research assessed CCR fatality rate to be between 4 to 10 times the recreational fatality rate. In his paper, he quantified this by stating that this was not an accurate figure because the quality of data was poor [http://www.ncbi.nlm.nih.gov/pubmed/23813461]. So, whilst there is an increase of 4 to 10 times of a CCR fatality compared to open circuit (OC) recreational and technical diving (impossible to split apart), we are still talking small numbers. Whilst there is a calculated fatality rate per 100,000 dives of 0.469 to 1.118 and a DCI rate of 0.092 to 0.204 per 1,000 dives, there is considerable evidence that humans are very poor at assessing risks and what it means to us. For instance, in Daniel Kahneman’s Thinking, Fast and Slow, he shows that we regularly underestimate the risks involved in undertaking an activity. He gave the example of “clinicians who were ‘completely certain’ of the diagnosis [but] were wrong 40% of the time”. So, we either can’t comprehend the values or we choose to ignore them because we don’t think they apply to us. Unfortunately, due to the “noise in the system” (i.e. errors), fatality rates are not a good measure of risk and trying to ascertain whether the risk is going up or down based on behaviors or interventions. So, why not look at another adverse outcome, such as DCI? As seen earlier, the possible variation in rates, physiological factors (fitness, body fat/muscle, body temperature, hydration), technical factors (gas choice, ascent rates, decompression algorithm, thermal protection) and environmental factors (temperature, workloads) all impact DCI likelihood, so assessing meaningful DCI risks is also very hard. If the risks can’t be quantified at an individual level, and organizations don’t necessarily describe their risk appetite or aversion, how can we assess the risk of diving? We in the dive industry assessed safety to be dependent on the absence of or the effective management of risk; and the definition of an acceptable level of risk comes from an organisation or an individual, is diving safe or not? Corporate risk acceptance/aversion is predominately defined by the level of reputational or commercial risk they are willing to undertake if a fatality or adverse outcome occurs. This is similar to how other organizations play the numbers game in terms of investment required versus the likelihood of the risk materializing. One way organizations try to manage risk is the use of liability waivers which divers sign to say that they know and accept the risks they will face. Doing so means they have no comeback on the organization should an accident occur. Thus, the risk is transferred from the organization to the diver. However, we have previously said that defining the likelihood of those risks is nigh or impossible in quantitative terms (or even qualitative terms, as one still needs figures to create relative comparisons). Complicating matters further is the person’s level of acceptable risk. This is influenced by a number of factors, not least, how risk-averse or risk-seeking they are, which in itself is influenced by their own and immediate peer’s knowledge, skills and attitude. 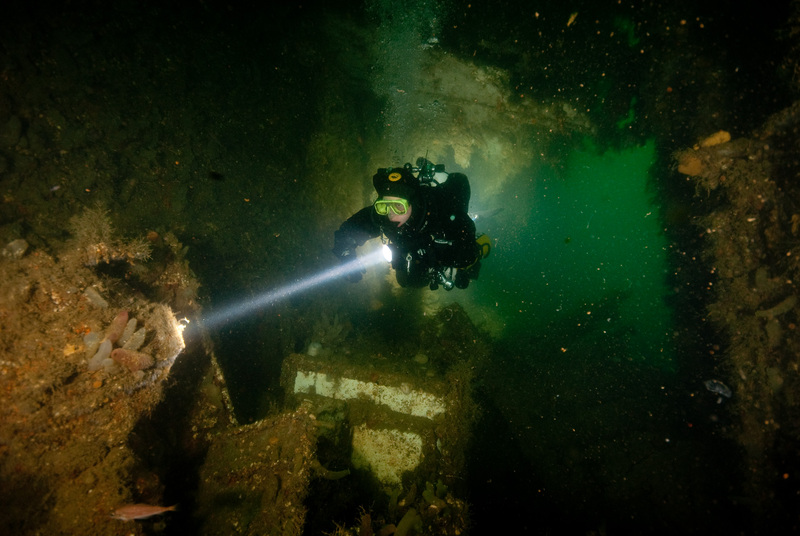 If a diver has been shown serene scenes with very few complicating factors like poor visibility and/or entanglement/entrapment hazards, their perception of risk would be very different to if they had been shown the outcome of a rapid ascent with severe DCI or a dead diver. Fortunately, fatalities are rare, though not non-existent. Situations like DCI, being out of gas and uncontrolled buoyancy ascents have certainly become more common and all these could lead to fatality. Another factor influencing risk perception and acceptance is risk homeostasis, whereby personal risk-seeking values remain unchanged despite additional safety-improving technologies being introduced. So, as technology such as CCRs allows risk to be managed more effectively for deep or long dives, the duration that divers spend underwater now are massive compared to 15 to 20 years ago e.g. sub-100m diving or dives in excess of five hours are now not uncommon. Whilst the likelihood of a risk materializing can be modeled and contributory factor scores applied, an absolute figure cannot be calculated, nor can “acceptable” be effectively defined. I have been asked if my PhD research could be used to develop an algorithm for the lay-diver to determine the likelihood of an adverse outcome if they entered certain values. The obvious answer is no! What individual divers can do is to effectively manage their risk by following best practices for their peer group and to encourage their peers to do the same. Individuals are likely to “drift” from the norm if left to their own devices. However, if a group works together at maintaining alignment with best practices (e.g. stopping bad habits when they occur), then individuals are less likely to drift. As a result, high-performing teams/individuals can take on more risks because they communicate well, have good team situational awareness and trust each other to call off the dive if needed, etc. So, is diving really safe? Take personal responsibility. Don’t just trust someone else to own the risk for you—you are the one getting in the water, and the one who needs to breathe and ascend to the surface if something goes wrong! Allocate a portion of your diving time to skills maintenance and/or development so that when something unexpected happens, you are better prepared. Skills development is not just about doing a course, it is about actively practicing what you learned afterwards. Conduct effective briefs that cover both the plan and some “what ifs”, so you are better prepared for ‘Murphy’ if he shows up. Conduct effective debriefs focussing on what went well, why it went well, and what could be done to improve the situation the next time. If you have had an adverse event (see sidebar for possible definitions of adverse events), consider submitting a report to organizations like DISMS, DAN, BSAC, so others can learn from your experience. It's indeed better to learn from someone else’s mistakes or accidents than to make them yourself. Develop your “team” diving so you can help each other out. That isn’t just about when things go wrong on the dive, but pre-dive, during the dive and post-dive, you are able to spot something happening and correct it. You will be amazed about what you did without realizing it because you are potentially focused on your own activities. External feedback is essential if you are to improve your performance and safety. Finally, it is your personal responsibility to understand and manage the risks of diving; don’t undertake “trust-me dives”—the person you are diving with is not necessarily the only one who is going to get hurt or killed if something goes wrong. Prevention is much better than reaction when it comes to safety! Surfacing at the end of a dive with less than 50bar in your cylinder (or whatever your agency's minimum “end gas” is). Could also be large discrepancies in gas pressures when running independent twins or sidemount. Becoming entangled or entrapped during a dive; this could be due to fishing lines, nets, dSMB lines, inside a wreck or caves. Unplanned separation which ends in a solo ascent. (Planned solo dives and/or planned separation do not count).